For a copy of the open letter published on Saturday, January 6, 2018, reported below, click here. The iPhone has made Apple Inc. and Wall Street hundreds of billions of dollars. Now some big shareholders are asking at what cost, in an unusual campaign to make the company more socially responsible. Adding splash, rock star Sting and his wife, Trudie Styler, will be on an advisory board along with Sister Patricia A. Daly, a nun who successfully fought Exxon Mobil Corp. over environmental disclosures, and Robert Eccles, an expert on sustainable investing. The Apple campaign would be unusual for an activist like Jana, which normally urges companies to make financial changes. But the investors believe that Apple’s highflying stock could be hurt in coming decades if it faces a backlash and that proactive moves could generate goodwill and keep consumers loyal to Apple brands. 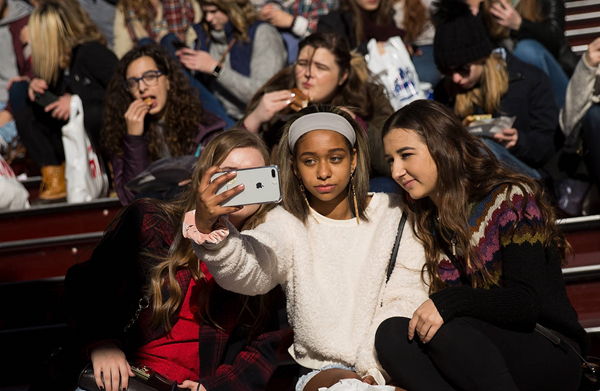 Obsessive teenage smartphone usage has sparked a debate among academics, parents and even the people who helped create the iPhone. Some have raised concerns about increased rates in teen depression and suicide and worry that phones are replacing old-fashioned human interaction. It is part of a broader re-evaluation of the effects on society of technology companies such as Google and Amazon.com Inc. and social-media companies like Facebook Inc. and Snap chat owner Snap Inc., which are facing questions about their reach into everyday life. Apple hasn’t offered any public guidance to parents on how to manage children’s smartphone use or taken a position on at what age they should begin using iPhones. Apple and its rivals point to features that give parents some measure of control. Apple, for instance, gives parents the ability to choose which apps, content and services their children can access. The basic idea behind socially responsible investing is that good corporate citizenship can also be good business. Big investors and banks, including TPG, UBS Group AG and Goldman Sachs Group Inc. are making bets on socially responsible companies, boosting what they see as good actors and avoiding bad ones. Big-name activists increasingly view bad environmental, social or governance policies as red flags. Jana plans to go further, putting its typical tools to work to drive change that may not immediately pay off. Apple is an ambitious first target: The combined Jana-Calstrs stake is relatively small given Apple’s nearly $900 billion market value. 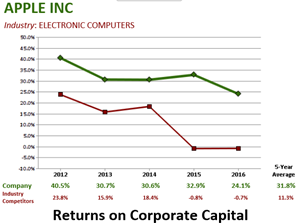 Still, in recent years Apple has twice faced activists demanding it pare its cash holdings, and both times the company ceded some ground. Chief Executive Tim Cook has led Apple’s efforts to be a more socially responsible company, for instance on environmental and immigration issues, and said in an interview with the New York Times last year that Apple has a “moral responsibility” to help the U.S. economy. Apple has shown willingness to use software to address potentially negative consequences of phone usage. Amid rising concerns about distracted driving, the company last year updated its software with a “do not disturb while driving” feature, which enables the iPhone to detect when someone is behind the wheel and automatically silence notifications. The iPhone is the backbone of a business that generated $48.35 billion in profit in fiscal 2017. It helped turn Apple into the world’s largest publicly listed company by market value, and anticipation of strong sales of its latest model, the iPhone X, helped its stock rise 50% in the past year. Apple phones made up 43% of U.S. smartphones in use in 2016, according to comScore , and an estimated 86 million Americans over age 13 own an iPhone. Jana and Calstrs are working with Jean M. Twenge of San Diego State University, who chronicled the problem of what she has dubbed the “iGen” in a book that was previewed in a widely discussed article in the Atlantic magazine last fall, and with Michael Rich of Harvard Medical School and Boston Children’s Hospital, known as “the mediatrician” for his work on the impact of media on children. The investors believe both the content and the amount of time spent on phones need to be tailored to youths, and they are raising concern about the public-health effects of failing to act. They point to research from Ms. Twenge and others about a “growing body of evidence” of “unintentional negative side effects,” including studies showing concerns from teachers. That is one reason Calstrs was eager to support the campaign, according to the letter. The group wants Apple to help find solutions to questions like what is optimal usage and to be at the forefront of the industry’s response—before regulators or consumers potentially force it to act. 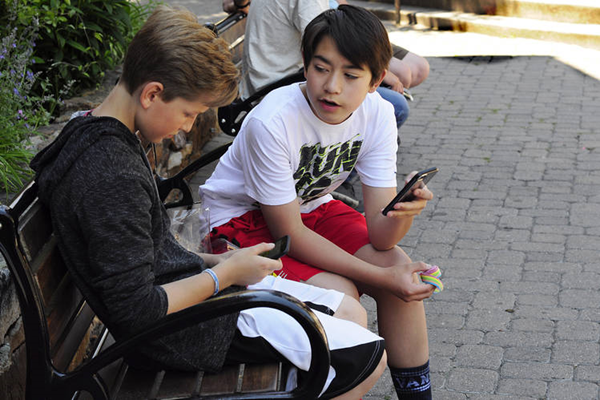 The investors say Apple should make it easier and more intuitive for parents to set up usage limits, which could head off any future moves to proscribe smartphones. —Tripp Mickle and Betsy Morris contributed to this article.